The Taipan is one of the smaller types of Gurista vessels. While the design is based on a pre-existing Caldari ship type - the Guristas delight in stealing anything they can from their hated enemies - its internal workings have been heavily modified. 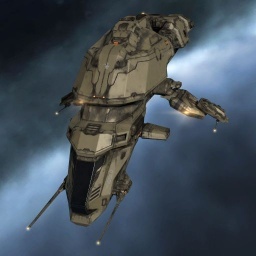 Not content to rely on the Caldari's focus on missile combat, the Guristas have added the drone power of the Gallente. The Taipan is the Guristas Pirates corvette (corvettes were formerly called rookie ships). This ship was given as a promo at Pax East 2013. No sub-article about Taipan roles or piloting tactics. You can write them here. This page has been accessed 28,286 times.